The new Rich Tonewood Series from Xaviere represents the greatest combination of quality, craftsmanship and value EVER in the guitar industry. 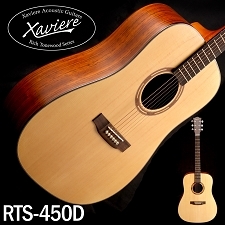 The 550D is a really unique guitar! 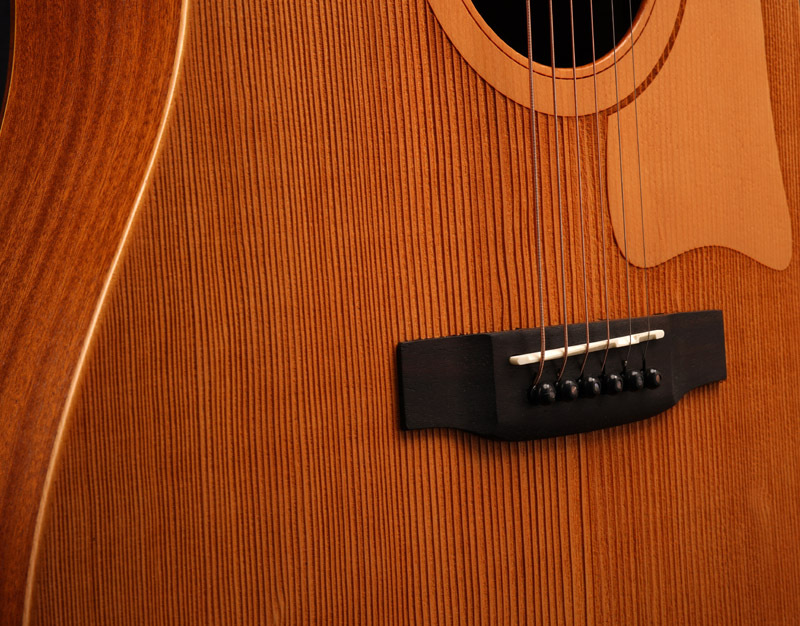 The SOLID USA sourced Sitka Spruce top is presented in it's raw form- NOT sanded smooth. We dye the wood and then shoot a SUPER thin coat of sealer. This gives the guitar a unique look and feel... but most importantly an EXPLOSIVE sound. After we dye the wood we just pass over the top with a sharp router bit to machine in the rosette and pickguard. It's pretty cool! 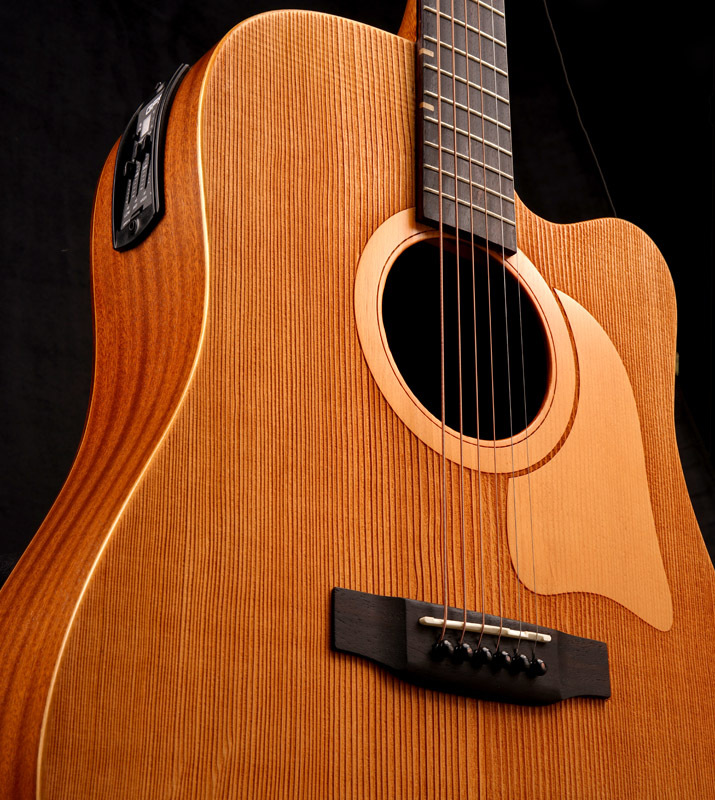 The back and sides are Mahogany, the traditional favorite wood for dreadnaughts for decades! 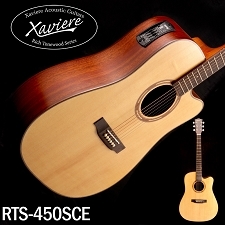 The 550D features a solid Mahogany neck topped off with excellent 14:1 tuners in the "Gotoh" style screw arrangement. 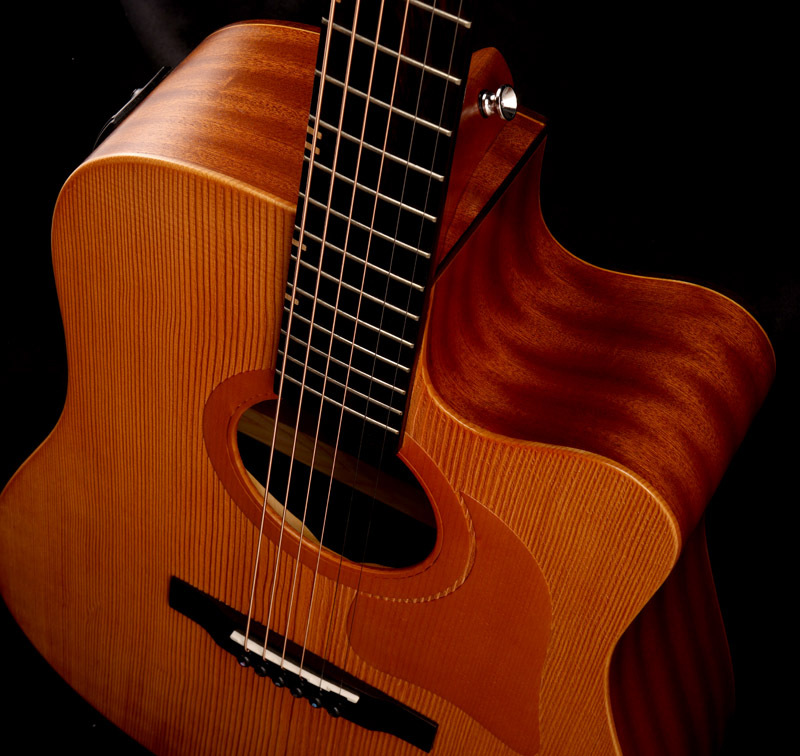 A soft Venetian cutaway offers excellent upper fret access, and we install a great GFS EAP360 preamp with three band EQ and an onboard tuner! 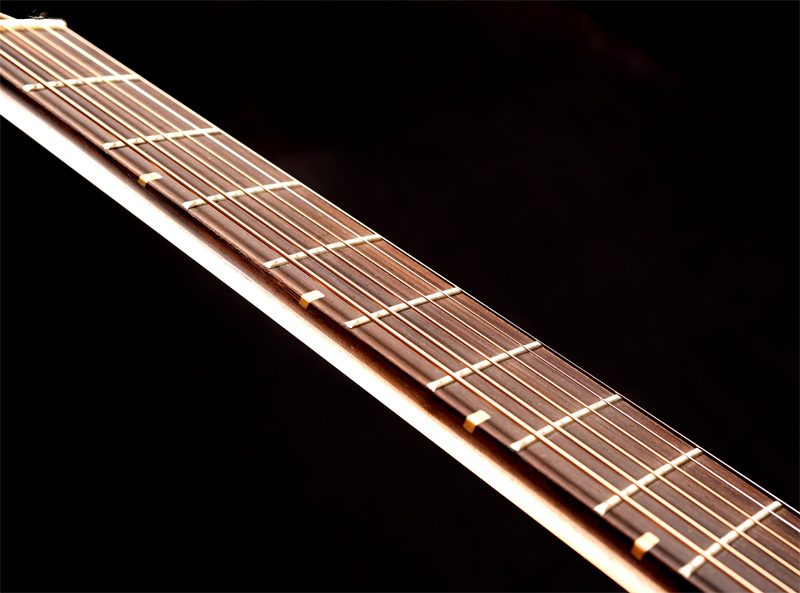 Only the best materials have been used to craft this instrument... 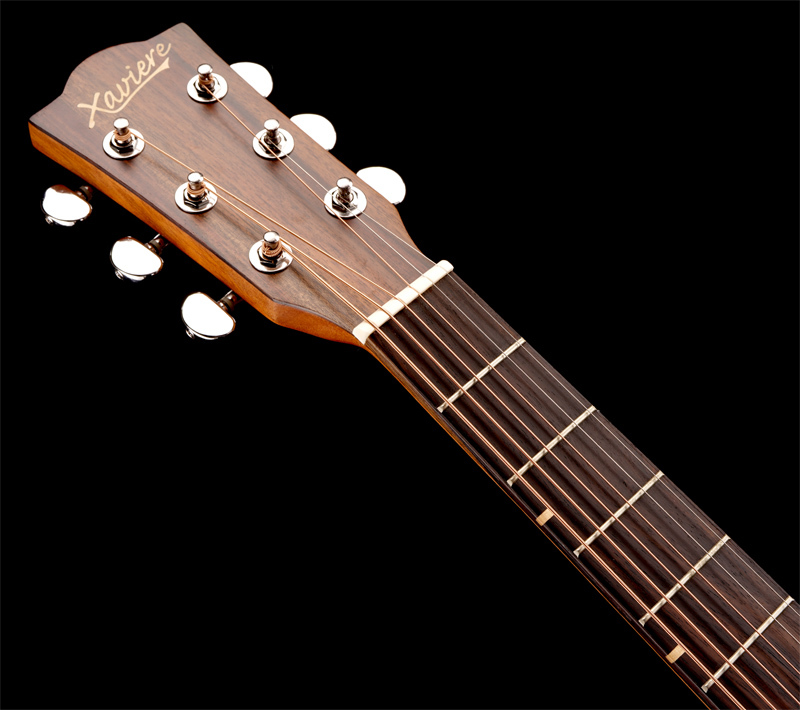 The neck is solid Mahogany, the fingerboard is solid rosewood with REAL maple inlays. The body is bound with ebony on the backside and a nice clear "reveal" for the top! 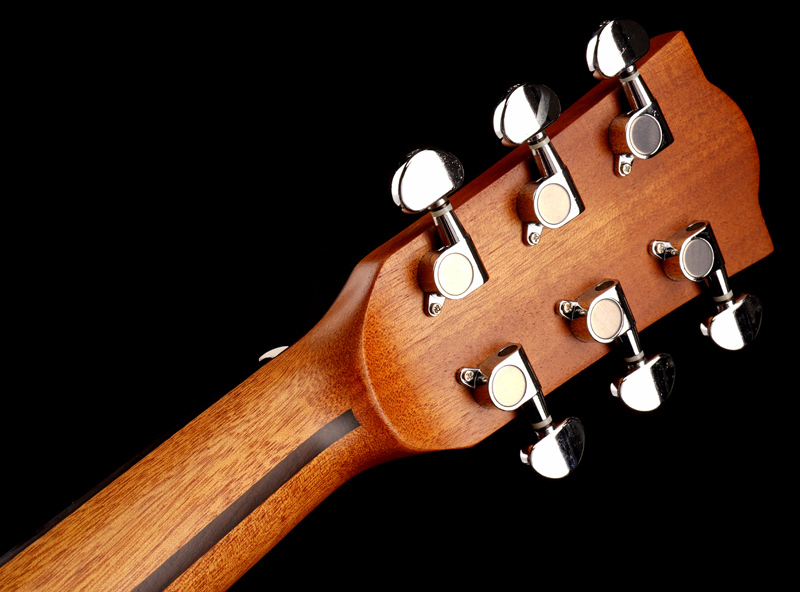 There is a rosewood skunk stripe for neck rigidity and a nice rosewood cap to the heel. 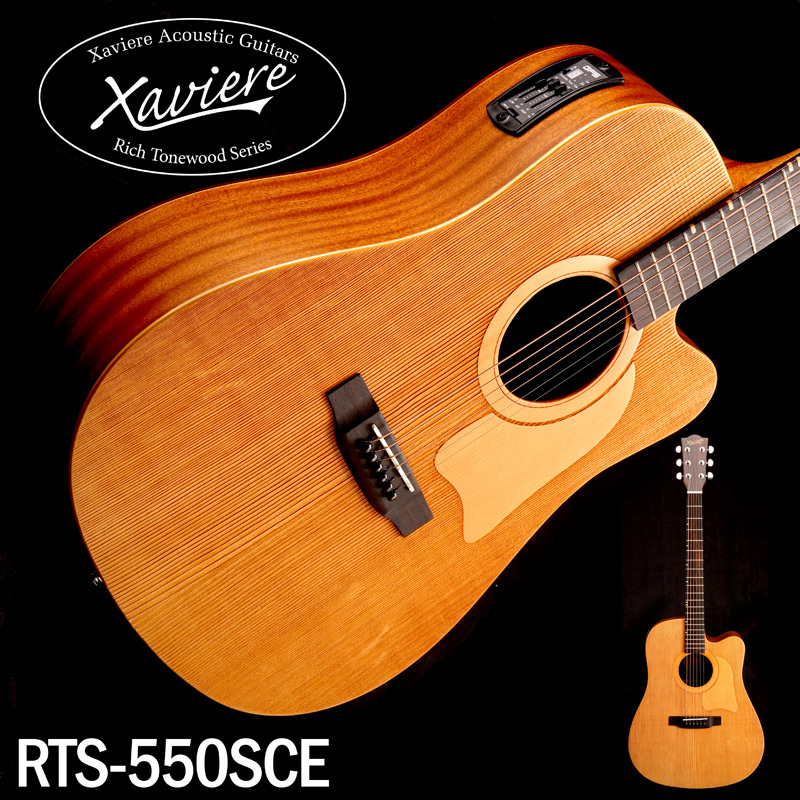 The "Xaviere" logo is inlaid into the rosewood peghead veneer in REAL Maple. 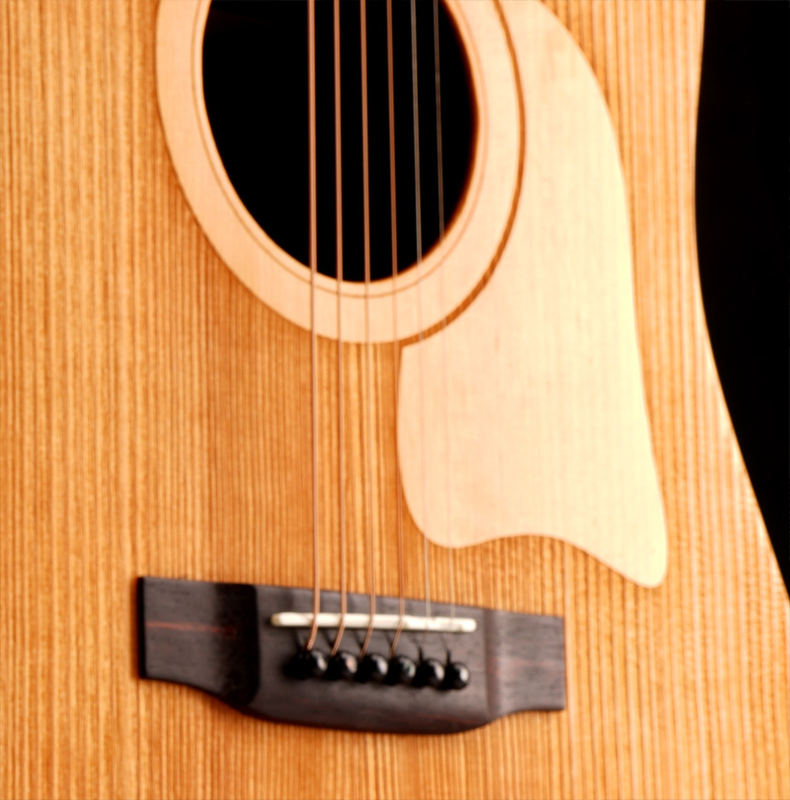 even the soundhole label is made from SOLID WOOD! 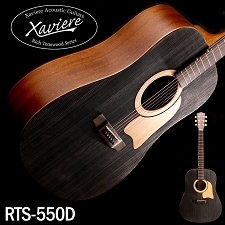 The 550D back, sides and neck are topped off with a very thin coat of catalyzed urethane- we give this guitar the thinnest of coats because it is a great feeling matte finish. 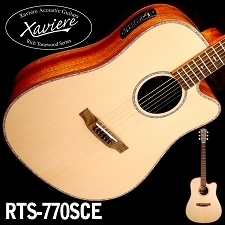 This is an extremely well balanced and toneful guitar- standard Dreadnaught shape with firm bottom and an explosive rock and roll midrange!